Alexandra Bykova is responsible for statistical coverage of Kazakhstan, Russia and Ukraine as well as for financial indicators and R&D statistics. She participated in the re-launch of the wiiw Databases and contributes to their further development. 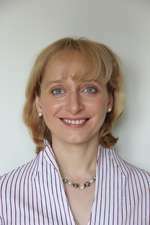 Ms. Bykova is responsible for the wiiw Monthly Database, in particular the data exchange with Eurostat. She obtained her Master’s degree in mathematical methods of economic analysis and cand. PhD in Economics from the Lomonosov Moscow State University.